Lock in great rates here. Spend more there. Relax knowing that what’s on your card is what you have to spend, making budgeting easier with no hidden surprises. Order and load your card using your credit/debit card or via bank transfer. Pay with your card in Euros or withdraw cash anywhere in the Eurozone. Start using in 5 working days. Track your spending and top-up your card anywhere using our app or website. Top-up with your debit card. When is my currency exchanged? You can use it anywhere in the 210 countries and territories that accept Mastercard. The card can be used worldwide, however a 1.75% out-of-currency fee applies if you spend in a currency other than Euros. 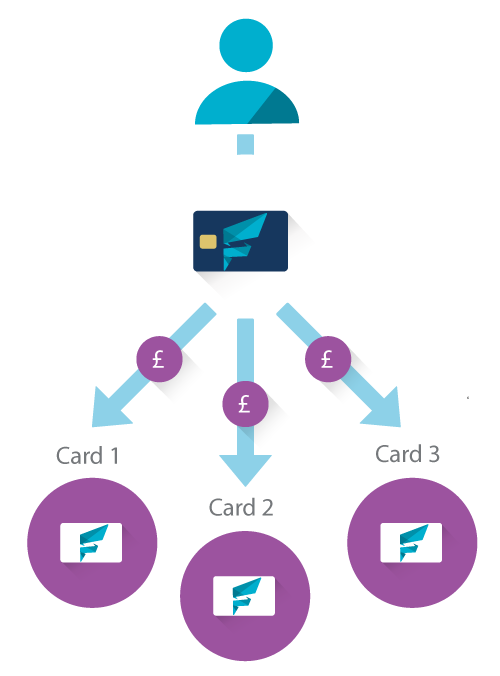 Why not link additional cards for free and give everyone in your group a secure way to pay? With just a few taps of the app you can instantly move money from your card to theirs. Earn 3.5% cashback every time you spend with top high street brands in the UK. Stop worring about what to do with that leftover currency. Just get rewarded. All FairFX Currency Card customers get access to great offers and deals from our select partners. What if I come home with leftover currency? You can use your card back home at over 40 UK high street retailers and earn 3.5% cashback rewards. Also, your FairFX Mastercard is valid for 3 years after which you simply renew, so keep it safe and use it on your next trip. How quickly can I get a card? Our FairFX Cards usually take three to five working days to be arrive. Top-up your card online by logging into your account and following a few easy steps. You can also top-up through our mobile app on the go, simply download our app from the iOS or Playstore. You can make payments using a debit card, credit card or via bank transfer. You can get a PIN reminder by calling our automated telephone service on 01244 779 900 (or +44 1244 77 99 00 if you are calling from abroad), calls are charged at standard network rates. Head to our FAQs to find out more.